I'm really pleased that the State Government has decided to keep Wyong Hospital in public hands. It's backed away from any public-private partnership model and announced that it will proceed with the hospital's $200m expansion alone. It's good news for the many people in southern Lake Macquarie who use the hospital and who fought to keep it public. Maybe the government is finally realising that people are absolutely fed up with them privatising or selling off public assets and essential services. Here's hoping! 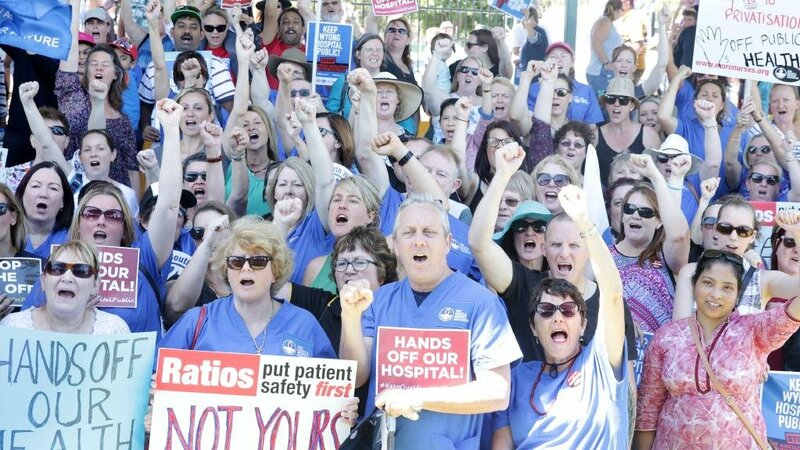 PEOPLE power has prevailed after the State Government this week scrapped plans to privatise Wyong Hospital following a heated community backlash since it announced the controversial move nearly a year ago. More than 2000 health workers and concerned community members descended on Morrie Breen Oval at Kanwal in October after the announcement of the proposed public-private partnership for the $200 million redevelopment of Wyong Hospital. Premier Gladys Berejiklian was confronted by nurses about the plan at a community cabinet meeting at Tumbi Umbi earlier this year. In response to the fierce opposition, Health Minister Brad Hazzard has revealed the Government will now fully fund the $200 million Wyong Hospital redevelopment. “After careful assessment of expressions of interest from operators, the NSW Government has decided on a Government-led approach for this significant upgrade,” Mr Hazzard said. Central Coast Parliamentary Secretary Scot MacDonald said “preliminary” upgrade works on Wyong Hospital would be under way by year’s end. The Wyong Hospital upgrade comes on the back of the $348 million redevelopment of Gosford Hospital, which is due for completion in the next year. The upgraded facilities at Wyong will include a new emergency department and more paediatric services, inpatient surgical beds and mental health services, as well as extra car parking. Mr Hazzard said the improvements would go a long way to boosting clinical care for patients and relieving pressure on the emergency department. Central Coast Opposition spokesman David Harris said the government had “finally conceded to the will of the people”. “After nine long and uncertain months of a hard-fought community campaign, the government has abandoned their unfair and unjustified plan to privatise our Wyong Hospital,” Mr Harris said.